The explosive growth and continuing evolution of Industry 4.0 have been providing electronic design engineers with lots of opportunity, but also lots of headaches. Trends like Industrial IoT (IIoT), Edge computing, and the expansion of intelligent systems, coupled with the coming integration of Artificial Intelligence, are constantly changing the design landscape. 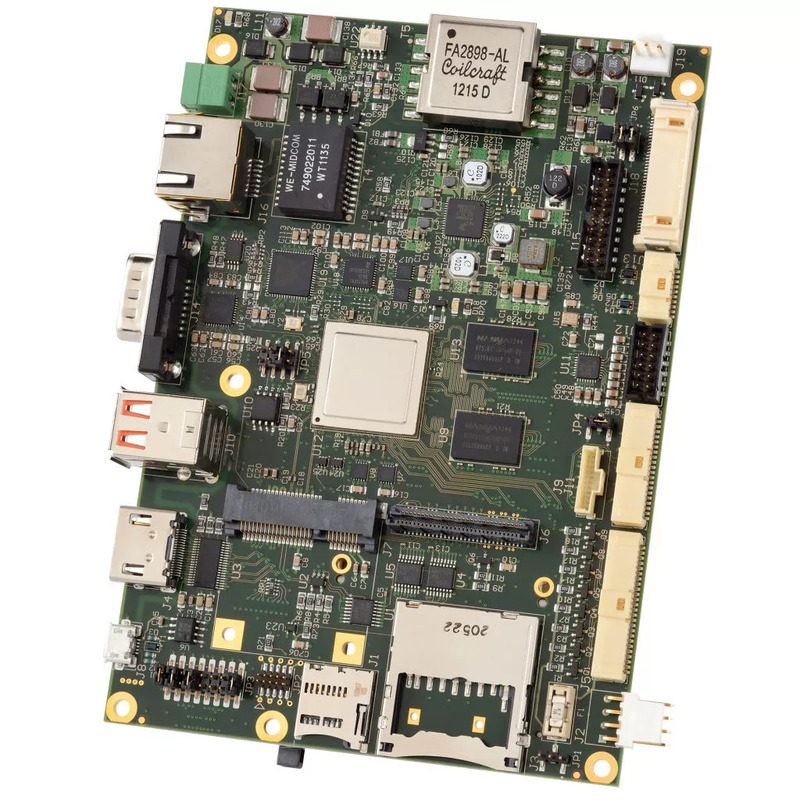 Deciding which Single-Board Computer (SBC) to integrate into your industrial design is far from a no-brainer partly due to the wide spectrum of available solutions. In previous blog posts, I covered important aspects in SBC selection such as software and operating system support, performance and connectivity in an industrial setting, and overall cost. Here, I’ll look at often overlooked aspect of embedded systems, namely power. There are no electronics without electricity, yet you could argue that power electronics and energy management in system design have only come into focus fairly recently. Designing for energy efficiency is far more than just making sure you have an efficient power supply; every subsystem and its energy consumption and use are factors in overall performance. A significant issue in industrial systems is the need for a good hybrid power/signal interface. Running one cable instead of two makes sense in a lot of ways, from reducing the number of connectors to saving on additional labor and materials. Since there’s currently no industrial-grade standard power/signal interface, designers are leaning on existing solutions. The two leading hybrid power/cable interfaces in use today are Power over Ethernet (PoE) and USB. Each has been hardened and upgraded to address industrial systems. There are also proprietary connector/cable systems from leading manufacturers that can better address industrial applications, but at a higher cost. Industrial PoE (IPoE) is well suited for use in advanced smart facilities, as it allows high data rates and power levels. SBCs compatible with IPoE systems typically require less effort to design in, and operate using a well-known interface. However, to properly operate in an industrial environment, all IPoE equipment should withstand temperature ranges around -40 to 75 ºC. One example of the kind of SBC that can operate in an IPoE environment is the WINSYSTEMS’ SBC35-C398Q, a quad-core i.MX6-based embedded computer which can be powered as an Ethernet PoE-PD device. The single board computer then provides support for numerous I/O for data acquisition or control through six USB, two CAN ports, five serial ports, and 24 GPIO. Another example, the PPM-PS397-POE isolated 25-W, PC/104-Plus form factor, 802.3af/at compliant, PoE PD power supply supports up to twice the power of 802.3af compliant PD devices. It’s designed to power an SBC and PC/104 stack from a CAT-5 cable sourced by an 802.3af/at compliant PSE device configured as either an endpoint or midspan device. +12 VDC to 1.0 A, and -12 VDC to 500 mA. The PPM-PS397-POE-1 can alternatively take power from a 16 – 60 VDC auxiliary input instead of the PoE interface. The auxiliary input is dominant. When present, it will always power the PD regardless of the state of PoE, not drawing power from PoE. The auxiliary power input is hot-swap capable. 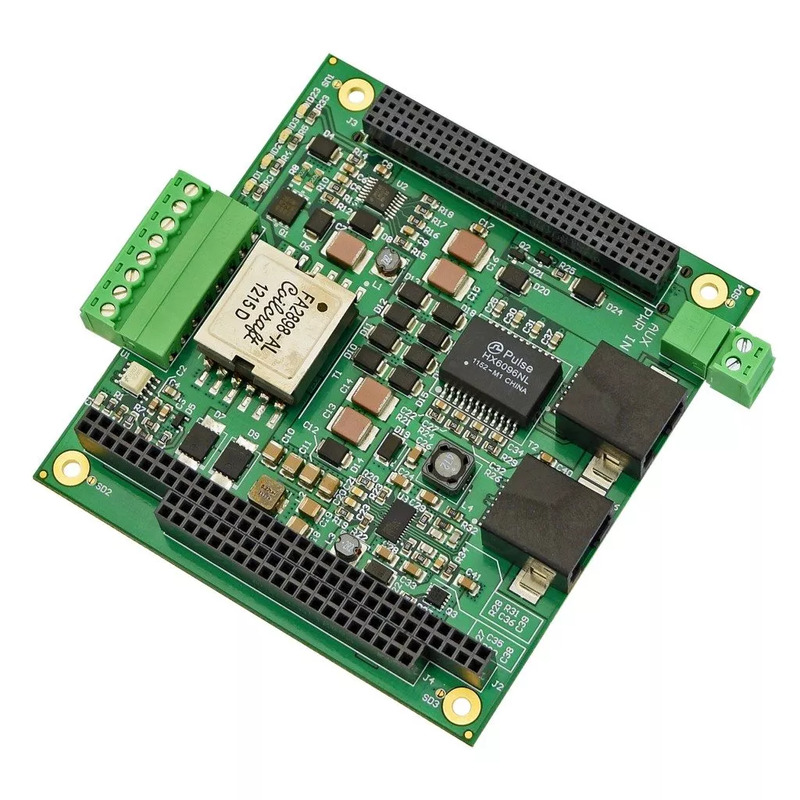 Power electronics and energy management aren’t the first thing that engineers consider when designing-in an SBC, but how the system accepts, manages and uses power is instrumental to its final functionality and performance. Issues like operating temperature range, energy efficiency, and power protocol compatibility are key to a good design. This year, WINSYSTEMS celebrates its 35th year of successful operations. Since its inception in 1982, the company has grown into an industry-leading engineering and technology solutions provider of industrial embedded computer systems serving customers all over the world. Over the years, WINSYSTEMS has earned recognition for its engineering expertise, custom solutions, reliable products and outstanding customer service. Jerry Winfield founded WINSYSTEMS based upon his deep knowledge of embedded computers and extensive experience in oilfield electronics. This knowledge base is the genesis for a growing line of quality products and subsequent expansion into the industrial embedded computer systems market. Some of the industry’s first STD Bus products capable of operating over extended temperature ranges were developed under Jerry’s leadership. This industrial expertise remains central to the company’s full line of rugged, reliable and resilient embedded computers, I/O cards and accessories designed for fanless operation over a -40 to +85 Celsius temperature range. Over the years, WINSYSTEMS has added fully customized solutions to its initial off-the-shelf product offerings—giving customers more options that meet their application requirements. The company employs a consultative approach when working with customers, an approach that results in a faster and more efficient design process, higher quality products to customer specifications, longer product life cycles and a shorter time to market. Since the beginning, customer satisfaction has remained a priority. WINSYSTEMS proudly offers life-long product technical support as a hallmark of its world class customer service. Technical support has been—and always will be—provided directly by WINSYSTEMS Application Engineers located at its USA headquarters in Arlington, Texas. WINSYSTEMS continues to add engineering resources and manufacturing capabilities to encourage, develop and support opportunities with current and future customers. From the beginning and into 2017, the WINSYSTEMS philosophy remains focused on delivering quality products as efficiently as possible. The company continues to lead the industry in meeting and anticipating customer needs through an expanding line of cutting edge products and complete embedded computer system solutions. WINSYSTEMS has earned the reputation among its customers as The Embedded Systems Authority and as a strategic partner, helping them embed success in every application. The term Internet of Things or IoT continues to build momentum in technology circles with new publications, trade shows and marketing pieces throughout numerous technology industries. However, many still have the same question, “What does it really mean?” Part of the confusion may be that so many levels of processing and communication are actually involved between the sensors collecting data and the cloud services where it can be analyzed and acted upon. The Internet of Things (IoT) is the evolution off of an older concept known as machine-to-machine or M2M communications. In M2M, there would be a connection between the machines that would allow them to communicate. Now, with IoT introduced, it has added another level in the machine-to-machine process to make the M2M information and devices available on the internet, thus the internet of things. The Internet of Things has a limitless capability to influence and advance the way we conduct daily living, whether that is in a professional or personal sense. The main commonality between all IoT applications is that it is based on involving cloud services and complexes of sensors that gather ever increasing data. The interaction between the cloud, sensors and machines allow for huge amounts of data to gather to the cloud. Using internet cloud services gives the users the ability to access the information remotely. Collecting data from sensors will not complete the circle that is the Internet of Things unless there is an application via the cloud to read and make use of the data. These applications can range from the simple items such as checking your thermostat from your smart phone while away to complex predictive analysis of industrial production lines to prevent downtime. Cloud based applications analyze the data and allow the development of new efficiencies, great access to information and improved reliability. There may be multiple embedded systems in an Internet of Things solution. Starting at the sensors themselves, where the information about the environment is first collected to microcontrollers or single board computers. In industrial settings, the data is often collected from several smaller embedded computers into an industrial gateway device or embedded computer that collects the information and connects to the internet. Some IoT applications even have embedded systems to provide a local GUI and user interaction at the equipment to display feedback from the cloud based analysis so the operator can make changes locally or remotely. Now, enter in WINSYSTEMS. The embedded systems products that WINSYSTEMS offers will assist customers in completing their circle of IoT efficiency to make smarter projects. Our Sales team will work with engineers to evaluate and evolve designs in order to improve the accessibility and reliability. Applications of IoT can truly be applied in any area that has sensors accumulating data and a cloud-based application transmitting that information into useful analytics to machines that can carry out instant responses. The Internet of Things implemented through the exponential deployment of embedded systems will continue to change our world. An embedded system is a computer solution dedicated to providing specific functionality as part of a larger functioning system. Embedded refers to the tendency for the technology to be an internal component to the overall system. Embedded systems are everywhere and installations are expanding exponentially. Since the early 1960s when embedded systems were first defined and used in the space program, the complexities and applications of these computers have changed greatly. Embedded systems are now integral to the cars we drive, consumer electronics, medical equipment, transportation systems, telecommunications, industrial controls, aerospace, and military applications. The applications are endless as technology and innovation uncover new opportunities and demands for programmable and self regulating/reporting solutions. While many of these applications use multiple embedded processors working in unison, each is considered an embedded system that works independently to provide a specific function in the total solution. The operating environments for embedded systems generally extend well beyond the operating conditions of personal computers. Driven by the industrial equipment where they reside, embedded systems often require rugged, fanless computer hardware designed to withstand extreme conditions. Whether the system operates outdoors, is subjected to routine shock, or requires 10 plus years of product life, fanless embedded systems are often a requirement for increasing reliability. Now known as the Internet of Things (IoT), a large movement began in 2005 to connect embedded systems directly to the internet, expanding the ability to collect and analyze data in a way never before possible. The concept allows information to be communicated through Ethernet, wireless, cellular technologies and other schemes so it can be analyzed on cloud-based systems allowing proactive predictive analysis. The fundamental concept remains and many off-the-shelf solutions are available to simplify the development and integration of embedded systems. The system hardware selection is driven by the scope of the system interfaces (I/O) including sensors, controls, connectivity and operator interface. Many embedded systems have no operator interface and rely on simple push buttons, LEDs or a communication channel for device interaction. Once the basic system requirements are defined, a microprocessor or microcontroller can be selected to provide the necessary performance for the task. Though many embedded systems require custom designed solutions, many industry standard form factors are also available. Single board computers based on industry standards such as PC/104, EBX, EPIC, Nano-ITX and 3.5-inch, and STD Bus are popular choices for industrial environments. In parallel with the hardware selection, it is also necessary to consider the software side of the embedded system. Many different solutions are available for operating systems and application software tools. Proper selection may have a dramatic impact on the embedded system development cycle. Considered by our clients to be The Embedded Systems Authority, WINSYSTEMS has focused on embedded technology and single board computers for over 30 years. The company provides a consultative approach to embedded computing design with a combination of standard and customized solutions.